The beautiful serviced apartment with one bedroom and one bathroom on Linh Lang street is for lease in Ba Dinh, Hanoi. Its floorings is made of timber and it has a total area of 45 sqm. Besides, it is modernly equiped with enough furniture such as: TV, sofa, wardrobe, etc. The serviced apartment with the usable area of 60 sq.m is located on Kim Ma street, in Ba Dinh, Hanoi. There are 1 bedroom and 1 bathroom in the apartment. It is furnished with full utensils. The security is guaranteed with 24/24 hours. The beautiful apartment is for rent on Kim Ma street, in Ba Dinh, Hanoi. It is well designed with 1 bedroom and 1 bathroom according to the modern stype of Europe with a total living area of 55 sq.m, modernly equiped with full furniture. One bedroom serviced apartment for rent in Dao Tan street, Tay Ho district, Hanoi. Total living area is 70 sq.m, comprising of 1 bedroom, 1 bathroom, a nice living room and a well equipped kitchen. 2 bedroom serviced apartment for rent in Linh Lang street, Tay Ho district, Hanoi. Total living area is 90 sq.m, composed of 2 cozy bedrooms, 2 bathrooms with modern fittings, a nice living room and a well equipped kitchen. 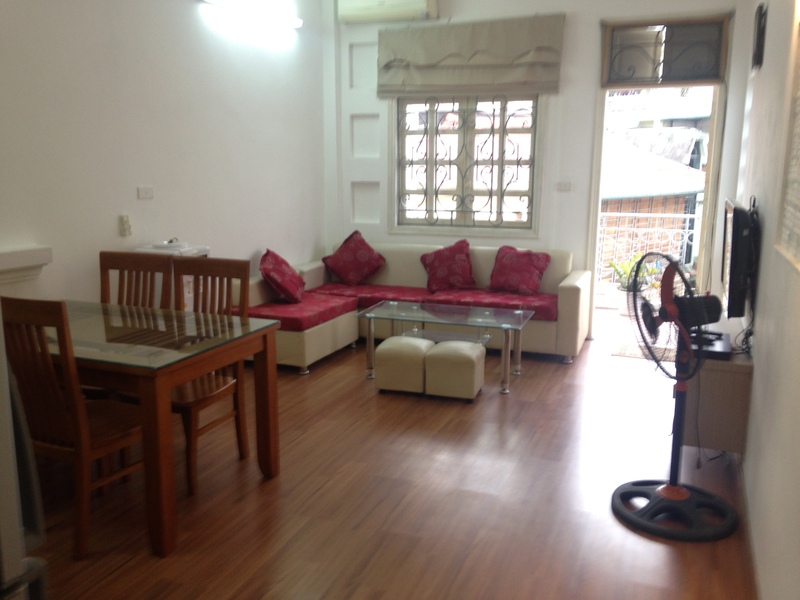 2 bedrooms, furnished service apartment for rent in Doc Ngu street, Ba Dinh district. With the size of 75 s.qm, including 2 bedrooms, a living room combined with a kitchen ( with full utensils such as: kitchen cupboard, gas cooker, fridge, dinning table, vacuum smells,..), 2 modern bathrooms.. It’s closed to supermarket, restaurant, shopping,…Rental fee: 700 USD per month. 01 nice bedroom serviced apartment rental in Bươi street, Ba Dinh district. The area: 75 sq m, including a nice bedroom, 1 bathroom, a living room combined a kitchen. Fully furnished with sofa & chairs, TV, bed, kitchen utensils and toilet amenities. Serviced apartment for rent in Hoang Hoa Tham street, Ba Dinh district.The use area is 80 sq m, designed with 2 bedrooms 2 bathrooms with tubs, nice living room and a kitchen. Living space is bright with wooden floor. It is well equipped and furnished. Serviced apartment in Dao Tan street, Hanoi. The construction area is 75 sq m with 2 bedrooms, 2 bathrooms, wooden floor, fully furnished. The building has elevator. Facilities and services: air conditioners, internet connection, phone connection, cable television, cleaning. New two bedroom apartment in Giang Vo street, Ba Dinh district, Hanoi. The building is equipped with high speed elevator, electric generator. Construction area is 75sq.m. It was designed with two bedrooms, one bathroom.